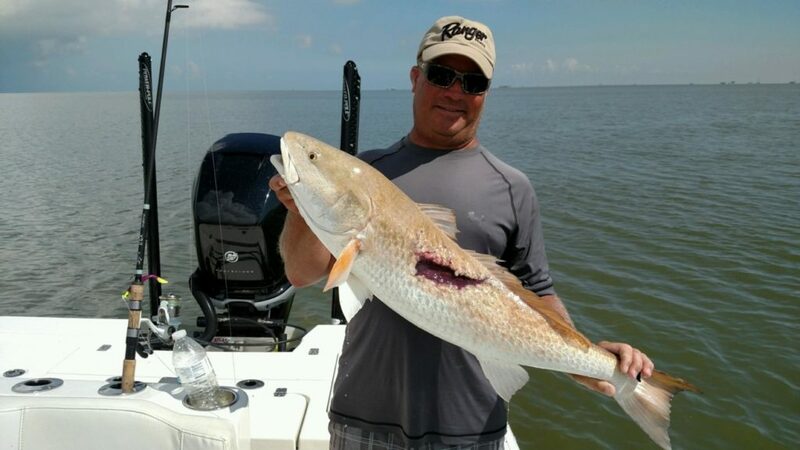 As a Professional Hunting and Fishing Guide in North America and South America for 23 years, having the right equipment and personal items with you is a must. However, with this being said it is important to be prepared ahead of time. 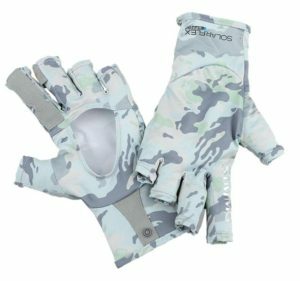 This saves you money, maximizes your time on the water or in the field, keeps you comfortable, and most importantly shows your guide you are there to fish or hunt. 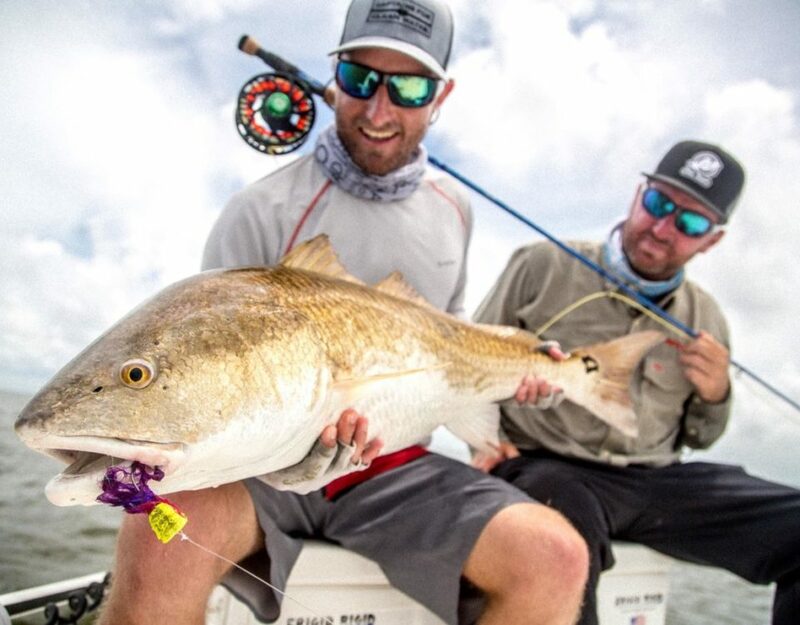 A professional guide should send you a list of items to bring, an expectations list of what to expect, and what they expect you to be able to do on the water or in the field. Two pair of Polarized Sunglasses, with straps, cleaning materials, cases, and a couple pair of cheap readers (if needed). I’m a big fan of amber lenses with a green mirror finish for 90% of my fishing excursions. The rest of the time is a blue mirror with grey lenses or a just a grey lens. Yes I’m a fan of glass lenses as they have a clearer view, crisper contrast, and fewer optical illusions. 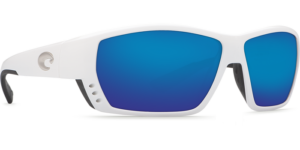 Costa Del Mar’s Tuna Alley is my pick as the frame is large, the lenses are large, and they give me maximum eye protection. Hats, sun gloves, sun gaiters, good boat shoes, good flip flops, quick dry clothes, rain gear, sun block, and lip block. On the hat side make sure the underside of the bill is a dark color, as it will help with glare. Sun gloves and sun gaiters are important for protection from the sun, but also local bugs. I’m a big believer in good boat shoes for the boat and fishing. I personally hate flip flops on the boat, as you are exposing your feet to hooks and the sun. Wear flip flops at the lodge. The number one thing I see people not spend the right money on is fishing clothes and rain gear. On the fishing side the lighter the material, SPF, and quick dry the better. Bring shorts, long pants, long sleeve shirts, short sleeve shirts, and by quality. 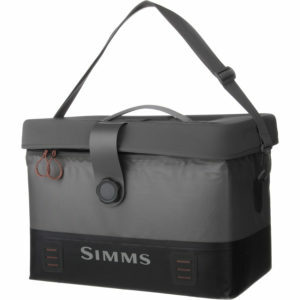 Simms makes a great selection for men and women. I also like the Lululemon Pants for men. You can wear them for casual or fishing and they last. We have to get out of your grandfather’s state of mind that jeans and a t-shirt are the way to go fishing. Rain gear is a must and you need a light set for tropical areas and a parka and bib set for colder and more open areas. A small waterproof bag for the boat and a larger bag for your clothes. 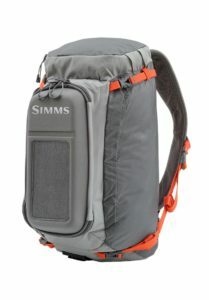 I like the backpack styles from Simms for the boat and the big travel bags from Simms for my clothes. This keeps my gear organized, dry, easy to locate, and helps the guide keep their boat organized. Ziploc bags, paper towels (shop towels), garbage bags, and small first aid kit. The zip lock bags help organize my stuff in my little backpack for the boat, can be used for an ice pack, keeping paper towels dry, storing snack food, or personal items. Garbage bags are perfect for putting dirty clothes in, wet shoes, a place to stand on to change clothes on the beach, or a place to lay items to rinse off after fishing. I like to make my own first aid kit of things I have used in the past and that fit my needs. It is also cheaper than the ones already put together and more comprehensive. A camera is very important. Yes the smartphones are great, but nothing beats the quality of a great DSLR like a Nikon D7100. It lets you shoot video and pictures. Remember this is a fishing or hunting trip of lifetime and you want to capture the ambiance of your trip. Get a polarized filter for your lenses. Make sure you have extra battery, SD Card, a small pelican case is a must, and learn the basics of your camera. 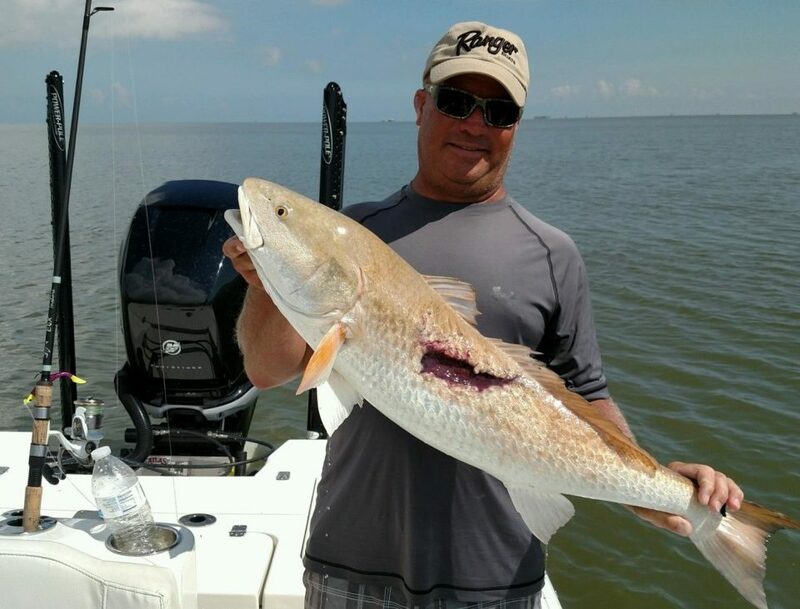 Ask your professional guide what is expected of you as angler for this particular trip. Then go and practice it religiously for at least a month before your trip. If you are sight fishing with conventional gear, go practice hitting targets at different distances, angles, and without moving your body. Practice with different size lures and try to practice in the wind. If fly fishing is on the menu, ask your guide what is the average cast distance needed and add 15 to 20 feet to it for spooky fish. If possible practice with the different flies you might use to see how they sink, cast, land on the water, and how they react to your strip. 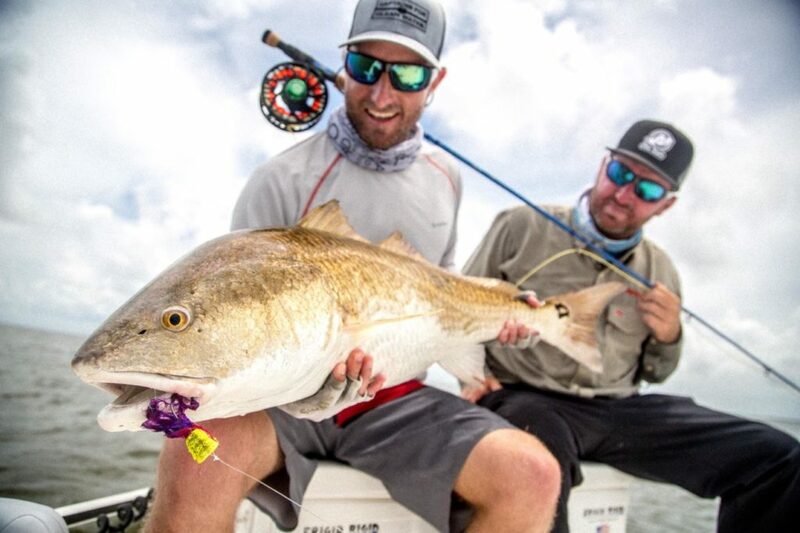 If you are going to be wading the flats learn to cast with all your gear on. A casting platform is a total different animal as well. To work on this casting position and technique try standing on a milk crate and cast to desired target. Get in shape both your body and mind. Working out three times a week might sound like a lot, but 8 to 10 hours of fishing in 100 degree weather will make you appreciate the effort. Start eating well, drinking plenty of water, and getting on a schedule of sleeping and rising early. When I talk about the mind start thinking about the fishing you are going to do and play it out in your mind. Watch some videos and study about the fish you are going after. The homework and dedication will pay off with more fish and your attention level to fishing will be higher. The number one thing that just blows my mind is the number of customers, who don’t think like a fish in terms of where to cast or position the lure. Forget all the gear, the amount of money you have, or how great of angling place you are visiting, this one item trumps all. Equipment is the business end of this deal for most people. I see two common mistakes for most anglers in this category. The first is the equipment is not suited for the fish they are chasing. All professional guides should send you a list of what they use. I truly believe that every rod in the boat should have a purpose and can be used by anyone. It also should be the same when it comes to conventional gear. I mean matching rods and reels. I provide Shimano Metanium bait casters and Stradic spinning reels on NRX rods. Having the correct line size, leader size, and it being new. The second mistake is not knowing how to use the equipment correctly. This could mean setting the drag, the braking system, or using the rod to fight the fish. I see a lot of customers who pull against a fish instead of pulling with the fish. In other words when the fish is running to the left and you are pulling him to the right, this is a perfect way to pull the hook out or have the fish break the line from tail slapping. Another issue is see is people doing the bass fishing technique of backing up on the boat, instead of staying next to the edge of the boat. When you back away you can’t see what the fish is doing, the line is rubbing on the boat, and you are starting to high stick the fish (this is when rods get broken on the tip). Be honest with your guide and yourself with your fishing ability. A guide will truly appreciate this and it will keep both of you from becoming frustrated. A professional guide plans the day around his client’s ability to give the client the best trip possible. Sometimes clients forget or don’t understand that a guide plans the trip out in their head and adjust accordingly on the weather, the fish, and what Mother Nature has given for the day. However, the hard part to recover from is when the client says they can do X and Y, but once you get to the location they can’t even make the letter X. The whole day now has to be scraped and start over, which means you and your guide are behind the 8 ball now. Let your guide know your expectations of the trip and what you expect from your guide. Ask your guide questions before the trip and during the trip. A professional guide will explain each time you pull up to a new area of what to look for and what to expect. Here is a question I love to ask before I book a trip “What qualifies a good day, an average day, and a tough day?” Then I will follow up with what percentage of your days fall into tough days. I expect at least a 10 percent answer based on 250 days a year on the water. The last question I like to ask is what weather patterns makes fishing tough in that area. I understand that fish move, don’t eat, and can be spooky for whatever reason. If you have ever sight fished you know this happens a lot. I hope this article helps in preparing you for your next fishing adventure. Yes some of these tips seem elementary, but they work and have a proven track record all over the world. Remember to enjoy the ambiance of the trip, learn something new in terms of fishing techniques, and be positive.